Περιγραφή "Nowadays Memory and Recollection are two meanings absolutely confused. 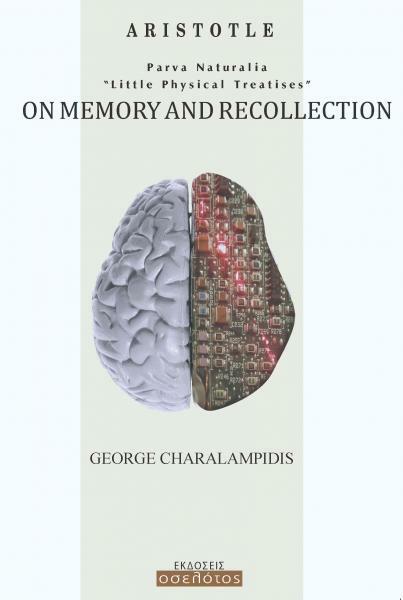 In Ancient Greece though they were of great importance since the word Memory concerned the common function of the brain and is associated with present life, while Recollection concerns the remembering of forgotten events that are embedded in the “eternal memory” of our soul. Unfortunately this function of recollection with the important meaning that Aristotle gave to it, has been completely ignored. But according to the great philosopher’s revelations, restarting and restoring recollections should be the main goal in each person’s life who desires to achieve spiritual development. The method taught for this purpose is called “Aristotelian Meditation” and the result produced is called “spiritualization of the soul” or “Technosis of the mind”."